The small town of Wrangell is making a big ask for the soon-to-be-finalized state budget. The city and local tribe are asking for an additional $5 million to clean up tons of lead-contaminated soil. But, a state environmental agency already has the money and plans to take care of the waste. The only problem is the proposed dumping site is strongly opposed by the community. And the town is looking for any extra funds to ship the waste off the island and down to the Lower 48. Gov. Bill Walker went to bat for concerned citizens in Wrangell. He asked for millions of dollars to help ship 18,000 cubic yards of lead-contaminated soil off the island. And Monday, the Senate Finance Committee responded by allocating $2.5 million dollars in its amended budget to the cleanup. Tuesday, the House Finance Committee heard plenty of testimony from Wrangell residents, asking them to add another $2.5 million. 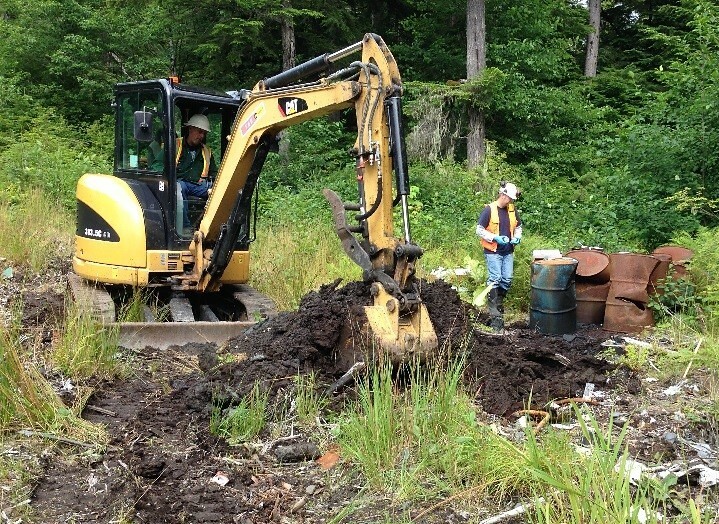 “The five million dollars in capital budget for this project would allow for our state and city to ship the remaining hazardous waste safely off island to be remediated and dealt with in a matter that does not threaten the public and ecological health of our community,” Wrangell resident Angie Flickinger said. But the Alaska Department of Environmental Conservation already has enough money to take care of the problem. Wrangell residents just want to see more precautions taken. Rep. Tammie Wilson of North Pole was reluctant to fund the extra payout. “Just wanting to know whether we are starting a precedence here where you have a safe site, you have money to use to finish the project, but yet were looking for unrestricted general funds instead,” Wilson said. The state allocated $14 million for the cleanup. $8.3 million has been spent so far. Enough is left to finish the project, on island. The state cleaned up the Byford Junkyard, where Wrangell residents had dumped old cars for decades. A contractor treated the soil and contained it. The state’s plan had been to put the soil in a rock pit on the island. But the public was outraged by this plan, because the proposed site is about a thousand feet away from a fishing stream and recreation area. Rep. Lance Pruitt of Anchorage said now is too late to try to appease public concern. “If we’ve spent over $8 million and we’re now addressing community concerns why weren’t the community concerns addressed before we spent $8 million?” Pruitt asked. The state claims it wasn’t legally obligated to involve the public. But it’s clear the state wishes it would have. Jeff Rogers of the DEC says he understands why Wrangell is asking for another option. Senate and House Finance Committee meetings are continuing this week. The legislature plans to end its session and pass a budget next week.